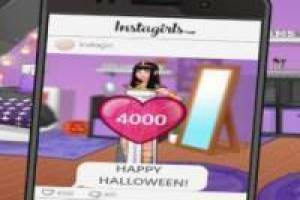 Instagirls is a game in which we will have to help these girls to succeed in the Instagram social network. This time we will do fantastic Halloween outfits, giving our followers fancy dress for the party that is to come. We' re going to have to go to the store and use the hashtag symbol that appears in the lower left to see what' s in fashion. Buy the elements of the clothes, in order, and take photos for Instagram. These items have a cost and you can get more money by taking photos and uploading them to the social network. Use that money to invest in new costumes and get a good deal of money. Triumph on Instagram with these Halloween instagirls. 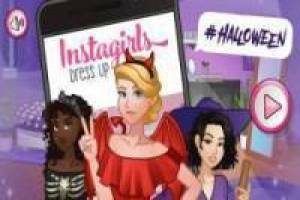 Enjoy the game Instagirls Halloween Edition, it's free, it's one of our halloween games we've selected.